The “Challenger,” a landmark historical vehicle from the extreme world of Gravity Racing, will also be on display, thanks to racing innovator Don Baumea. The public is invited to the exhibit’s opening reception from 4 to 6 p.m. Thursday, April 18. The exhibit, co-hosted by the College of Engineering, is free and open to the public during library open hours. For more information, contact Catherine Trujillo, Kennedy Library curator, at 805-756-6395 or ctrujill@calpoly.edu or go to: lib.calpoly.edu/events/limitless. 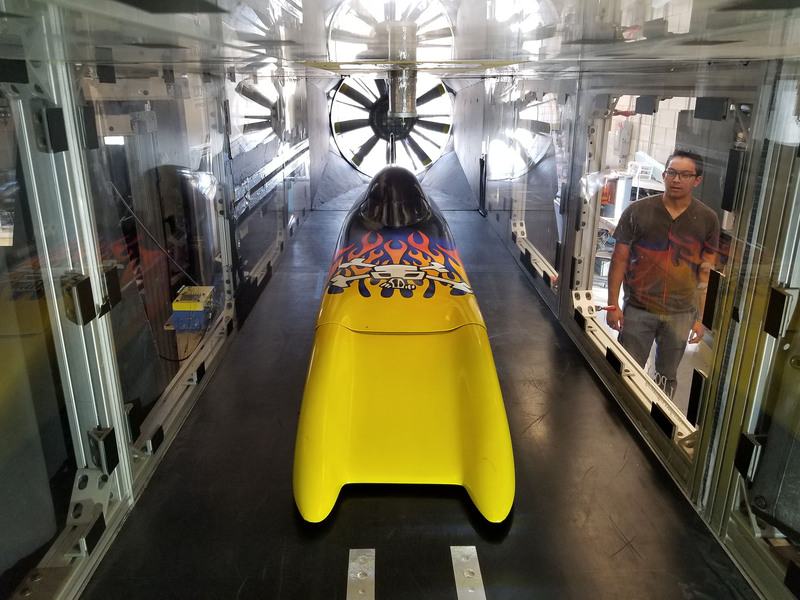 (Photo at top): Student engineers wind-tunnel-testing “The Challenger,” a record-breaking vehicle designed by legend Don Baumea. Photo Courtesy PROVE Lab. 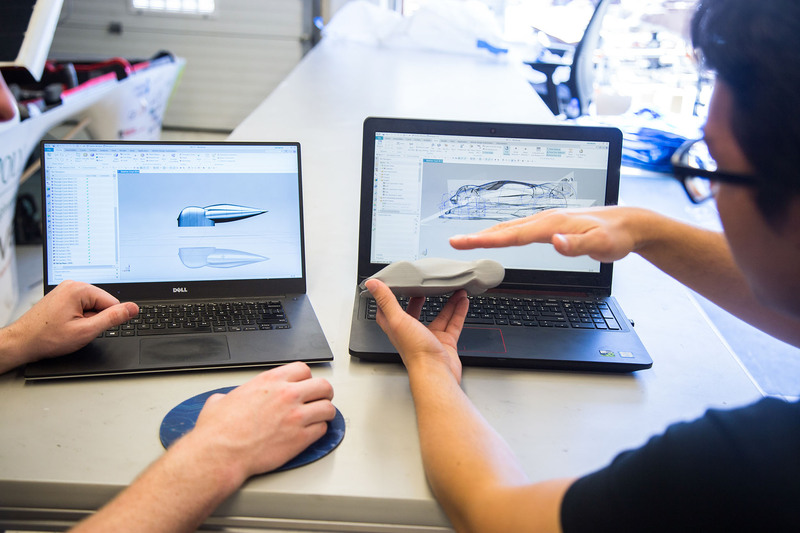 Student engineers working with a 3D printed model of their electric endurance car. Photo courtesy PROVE Lab. 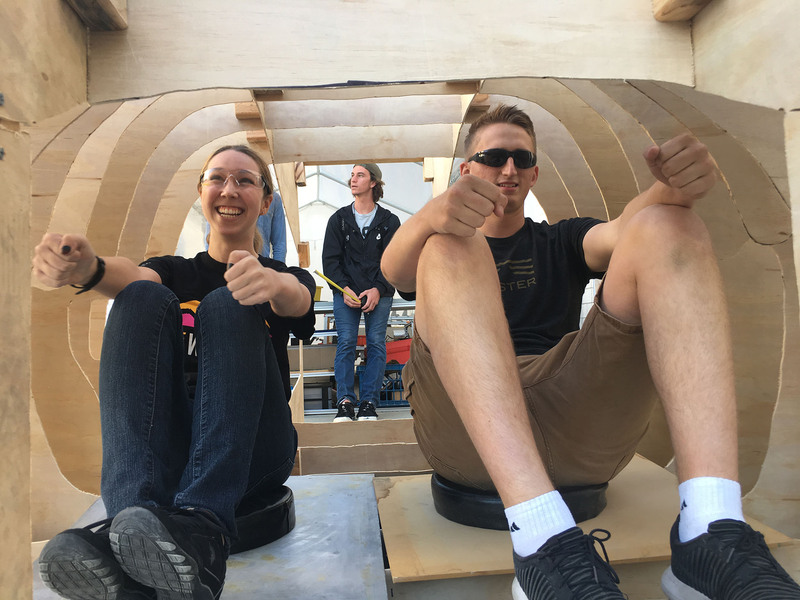 Student engineers testing a scale model of their electric endurance car’s interior, which was prototyped to test seating angles and driver visibility. Photo courtesy PROVE Lab.